Sew Convenient specializes in bridal, prom, and formal wear alterations. Basic alterations include hemming, taking in, letting out, bustle for bridal gowns, and anything else that does not change the look of the garment just the fit. Call to make an appointment today for all your alterations needs. Sew Convenient suggest setting up your bridal alterations appointment three months before the big day. Bridal alterations typically takes three appointments. 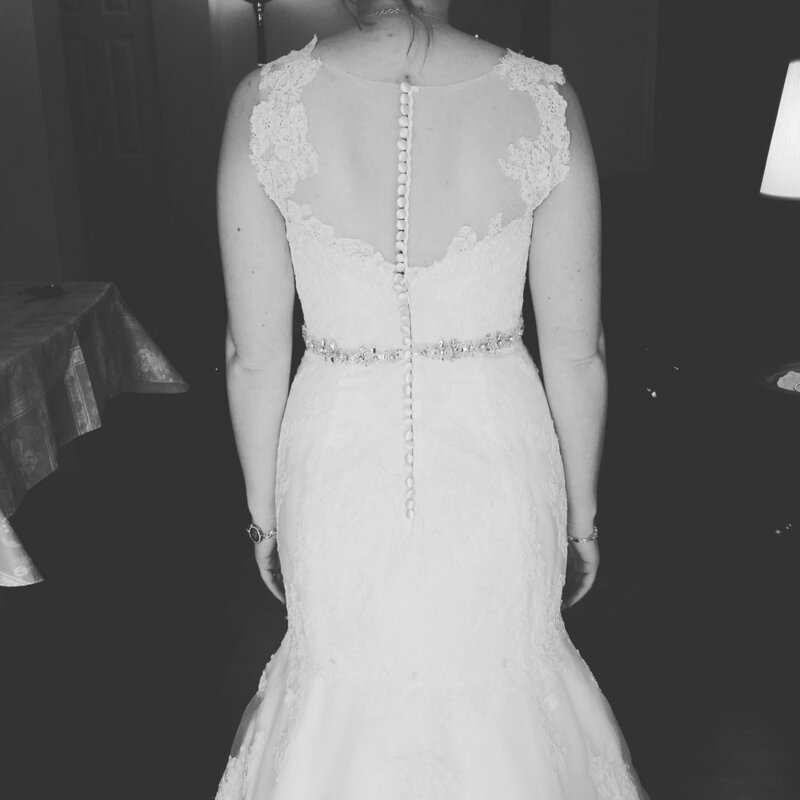 The first appointment is to pin and discuss what the bride envisions for herself. Sew convenient understands the desire to look prefect, if you are still working on looking your best we work around that. There are lot of other things that need to be done to a garment before adjusting the fit. Typically the first fitting we will set the hem so make sure you have the shoes you plan to wear the hole day. Second fitting is to check all adjustments made after the first fitting and then to do any additional adjustments. If there is a need for a third it would be the finale fitting to make sure everything is perfect for the day of. Sew Convenient steams and prepares your dress for the big day. Love your gown but missing just a small touch that you couldn't find. Let Sew Convenient help. Kelly loves being creative and coming up with great ideas to help make your gown YOU. Sew Convenient can make custom straps, added back details, add buttons, make your dress fuller, less full, don't be afraid to ask about what Sew Convenient can do to make your dress perfect.